The Wallabies had never won a Test against the Springboks at Port Elizabeth, a record that still stands after their 12-23 loss at the Nelson Mandela Bay Stadium. The Wallabies tough task of defeating a rampant Springboks side was made more difficult by the local authorities shamelessly exploiting the memory of the former President Nelson Mandela, South Africa’s greatest son, in an attempt (which was successful) to make him the 16th player on the field for the home side. The tactic worked. From the outset the Wallabies played like a rattled, anxious side that could not cope with the Springboks or the support for them from the passionate crowd. 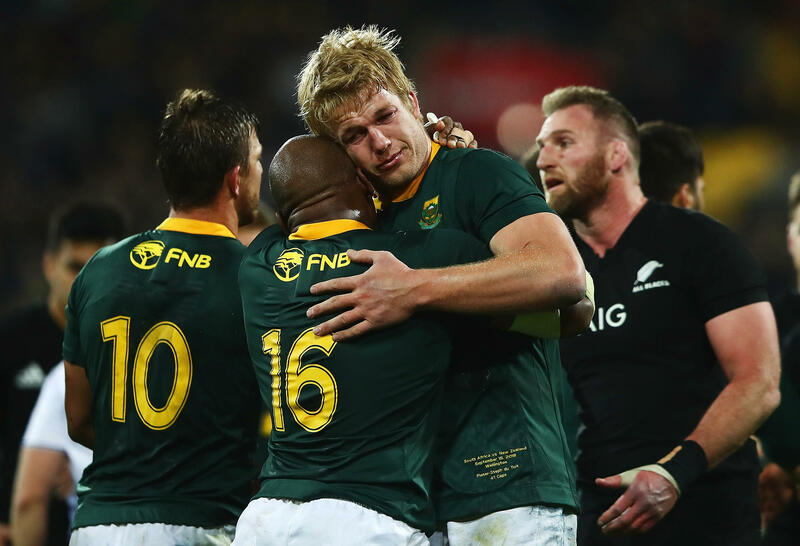 The Springboks, for their part, played with intensity. They also executed their defensive and attacking plays with accuracy, certainty and efficiency. This 2018 Springboks side is developing into a formidable team. It is already a better side and better-coached side than the 2015 Springboks who ran the All Blacks to the wire in their semi-final of the 2015 Rugby World Cup. Next Saturday’s showdown with the All Blacks should provide an insight into how substantial the improvement of the Springboks has been this season. The fact is that the performance of the Springboks has to be put into the context of a Wallabies side that has gone backwards in terms of effectiveness this season. Kurtley Beale started the rot at Port Elizabeth with a stupid cut-out pass on his try line which the impressive Aphiwe Dyantyi, a find of the season for the Springboks, plucked from the air to score the opening try. I have watched Beale play since he was a brilliant youngster in a very good St Joseph’s College first XV. His best position is fullback, where he played so brilliantly in the 2011 RWC tournament. At number 10 he is rather like Carlos Spencer, a destroyer of weak sides and a headless-chook against strong sides. Throughout the Test, the Wallabies threw passes behind players, over their heads, delayed until a Springbok had lined up a catcher, spun the passes forward, passed to the wrong player in the attack and only occasionally delivered a pass with the correct speed, loft and placement. There was no rugby smarts shown either in the way the Wallabies played or in the decisions taken on the field by the playmakers and the captain (and now a designated lineout forward!) Michael Hooper. We were told by Rod Kafer, the coaching guru for Rugby Australia, that Mick Byrne would revolutionise the skills of the Wallabies, as he had apparently with the All Blacks. I say “apparently” because there no evidence of the All Blacks passing skills degenerating without Byrne. And, more importantly, and there is no evidence of the Wallabies showing improvement in any of their skills of handling, passing or kicking, under the Byrne regime. When the ground announcer called for the spectators to sing the national anthem, along with “the Princess of South Africa, Yvonne Chaka,” they did with the released passion of newly recruited born-again believers in the Springboks cause. The pre-Test formalities built around commemorating the 100th anniversary of the birth of Nelson Mandela were a deliberately-designed ceremony of intimidation to make the Wallabies understand that they were on hostile ground. 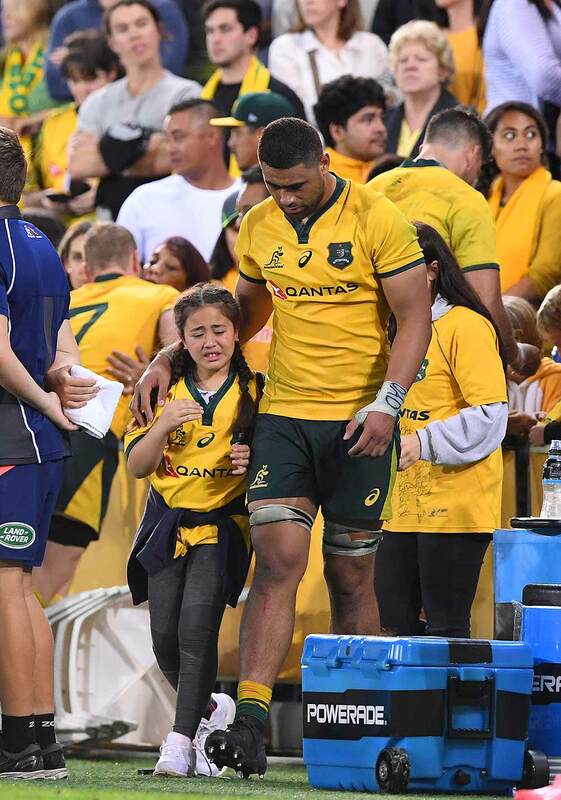 The contrast with this planned intimidation (and the All Blacks haka, let us not forget) with the anodyne Rugby Australia’s ‘Welcome To Country’ ceremony, where the opponents to the Wallabies are actually extended a gesture of friendship when they play here, is stark. The Springboks responded to the President Mandela homage-making with their second ferociously executed performance in a row. Two weeks ago they smashed the All Blacks, scoring more points against the home side than any team has ever achieved in a New Zealand Test. With a baying crowd, sometimes singing passionately like football spectators, energising the Springboks, the home side played an outstanding Test. On defence they kept the Wallabies scoreless in the second half. On attack they made several outstanding long-range break-outs and generally looked to know what they wanted to do when they ran the ball. I welcome this revival of Springboks rugby. It is good for rugby world-wide that a former great rugby nation seems to be on the rise. South Africa needs to be a competitive international rugby force, especially for the game in the southern hemisphere, because the money, stadiums and players are there in the Republic. What a pity that there has not been a corresponding revival in Australian rugby. Here are some facts that put the decline of the Wallabies in 2017-18 in a rather stark and confronting light. The Wallabies were scoreless in the second half against the Springboks at Port Elizabeth. Clearly the half-time talk was a failure. The statistics suggest that in this second half the Wallabies had nearly over 70 per cent of field territory. The Wallabies have lost eight of their last ten Tests. The last time this happened was in 2005 under coach Eddie Jones. The Wallabies have not won a Test in South Africa in the last seven years. The current run of four losses in a row by the Wallabies in away-from home Tests matches a dismal and similar result set in 2009. Since the 2015 RWC the Wallabies have had only 16 wins from 35 Tests. 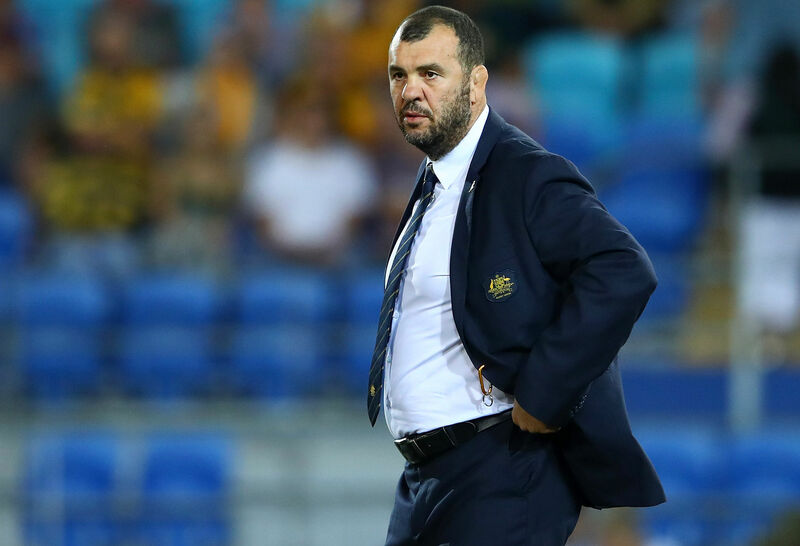 The curse of the RWC tournament silver medalist seems to have affected Michael Cheika’s Wallabies. Even worse than these statistics is the fact that the team is clueless on the field. The rugby nous shown by the supposed leadership group is non-existent. The Wallabies almost always take the wrong option, whether it is to run the ball or take or reject a penalty shot or try a particular play at a specific time during a Test. Why in the name of all the gods of rugby did Kurtley Beale throw a long cut-out pass metres away from his own try line? In the first 20 minutes of the Test, the Wallabies had very little possession. Why did Beale kick the ball away in the air three times in this position? Towards the end of the Test, with a Springboks winger in the sin-bin, the Wallabies called for a five-man lineout on their own throw on their opponents five-metre mark. The natural overlap the Wallabies had from the sin-binning was lost from this decision. Why was Michael Hooper, a short man even if he were a back, played as a jumper at number 2 in the lineout? Why wasn’t scoreboard pressure built up by taking and converting kickable penalties when they were on offer? After all, both sides scored two tries each with the Wallabies’ one conversion being trumped by the two conversions and three penalties kicked by the Springboks. And why does Tim Horan say “good decision” whenever this stupid action of not taking the easy penalty points is done by the Wallabies? It is almost always the dumb option. The Wallabies might have scored an unconverted try from one of these decisions by Hooper but they lost many more points by not taking the kick at goal. 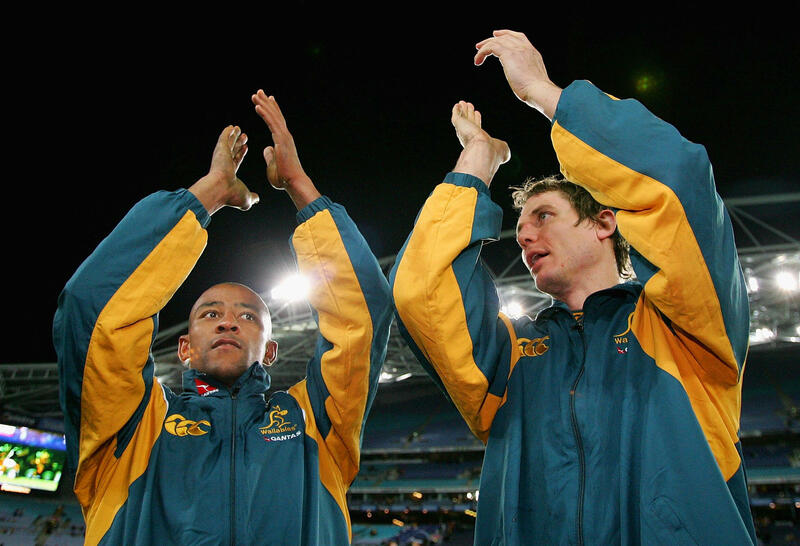 There has been some talk in the rugby media that someone like George Gregan will be brought into the Wallabies camp to help Stephen Larkham on attacking strategies. This would be a terrible mistake. The fact of the matter is that in 2004 George Gregan and Stephen Larkham were the leaders of a player-power push that moved David Nucifora out of the Brumbies, in the year the Brumbies won the Super Rugby tournament for the last time. And the ring leaders in the push against Andy Friend? The leaders in those player-power days have been running Australian rugby, in one way or another, most of the time since the coups against Nucifora and some years later against Friend. 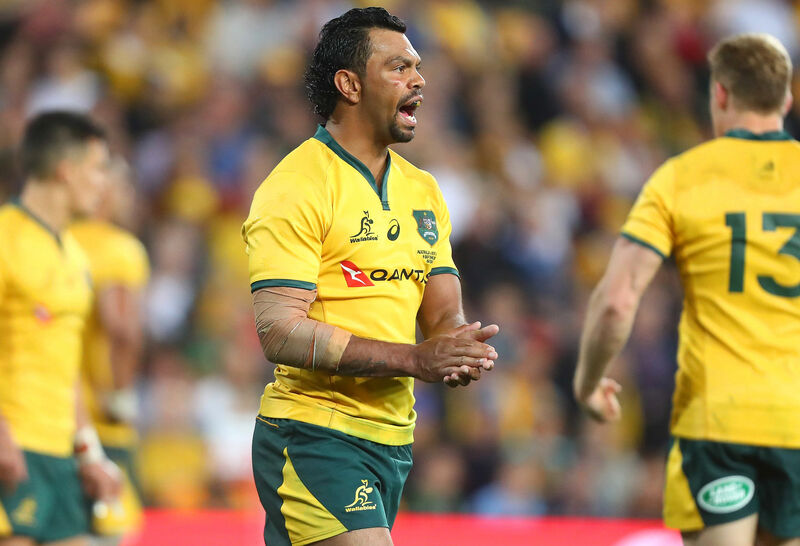 There has been a corresponding decline in the winning record of the Wallabies as the former player-power advocates have become more powerful within Australian rugby. There are only ten Tests left for the Wallabies before the 2019 RWC tournament starts. There is absolutely no time to lose, therefore. Nothing more than a root-and-branch change in the board of Rugby Australia, its management, and the management of the Wallabies is needed – as soon as possible. The influence of former Brumbies player-power advocates needs to be greatly reduced, if not eliminated entirely, as far as Rugby Australia jobs are concerned. Before the Wallabies leave on their October/November overseas tour some major changes must be put in place. There is a precedent of sorts for this sort of drastic action. On 21 August 1997 the Springboks defeated the Wallabies at Pretoria 67-22, the most points conceded up to then by Australia. The chief executive John O’Neill acted decisively. He sacked the Wallabies coach Greg Smith and appointed Rod Macqueen to take over, starting with the northern hemisphere tour two months later. The rest, as they say, is history with Macqueen coaching the Wallabies to their second Webb Ellis trophy in 1999, in a tournament where his side conceded only one try, against the USA of all sides. On 6 November 1999 Australia defeated France 35-12 to claim their second Webb Ellis trophy. If the Rugby Australia board and chief executive Raelene Castle can’t bring themselves to do the right thing and step down from the shambles they are creating, then at least make it possible for great coaches like Macqueen and Bob Dwyer to come back into the Wallabies and Waratahs systems again. South Africa took some hard decisions about coaches, administrators and former players who failed miserably in the last few years and the Springboks are becoming winners again. It’s time for Rugby Australia to follow the example of the South Africans.